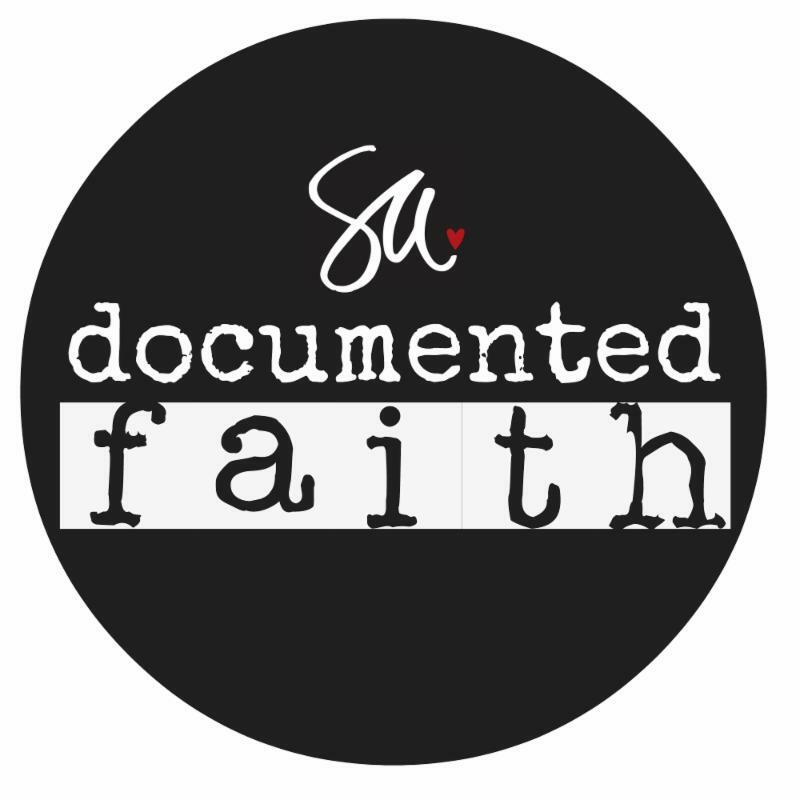 Hello and welcome to Documented Faith Week 17. It is a VERY CRAZY "in a good way" week coming up! 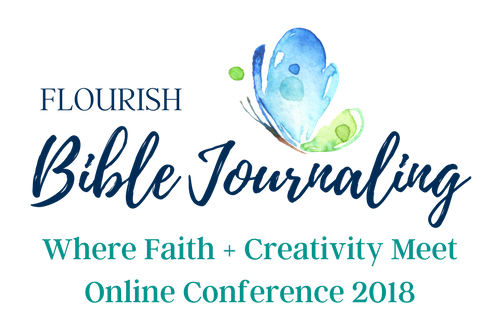 I am a speaker at The Flourish Conference and guess what?? It is online and...FREE! Watch your inbox on Monday, April 23rd for the link! Also, Wednesday I head to Utah for the Facebook Live/Live event. 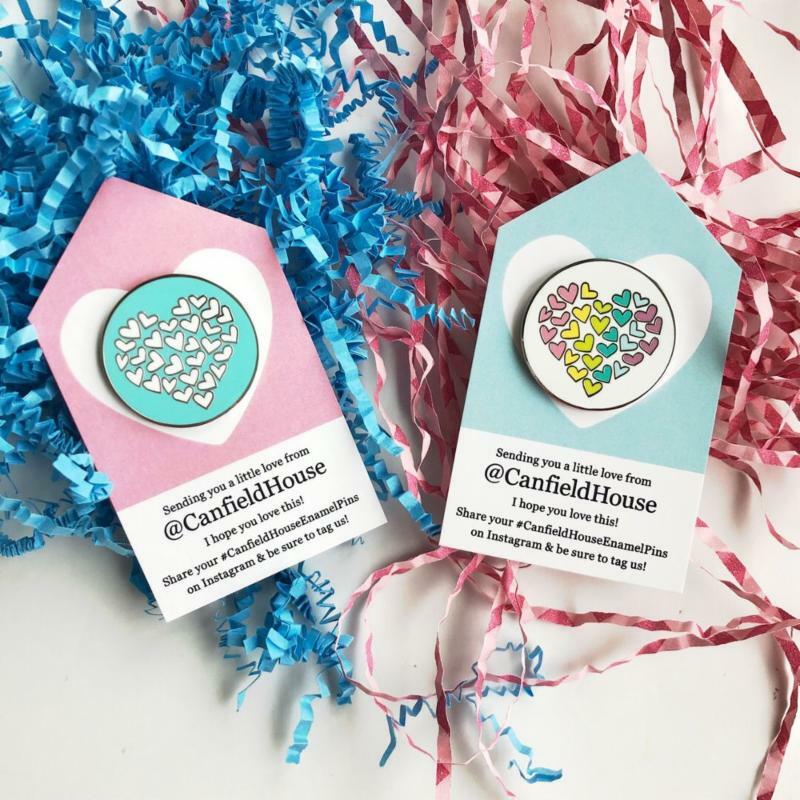 Click the event page here to let us know you are going to be online with us. ﻿This week we are reminded of the promise that God has promised peace when we pray. Again this week there are several verses to look up this week and I encourage you to take some time to look them up in different translations. God promises peace when we pray. NIV NOTES: God’s peace is different from the world’s peace. 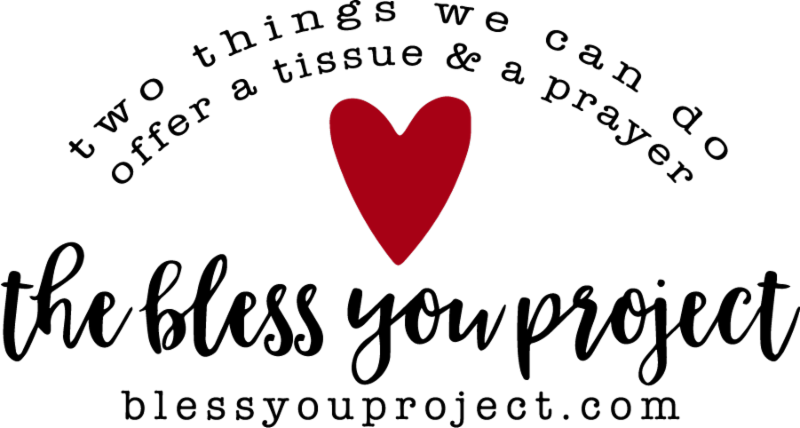 True peace is not found in positive thinking, in absence of conflict or in good feelings. It comes from knowing that God is in control. 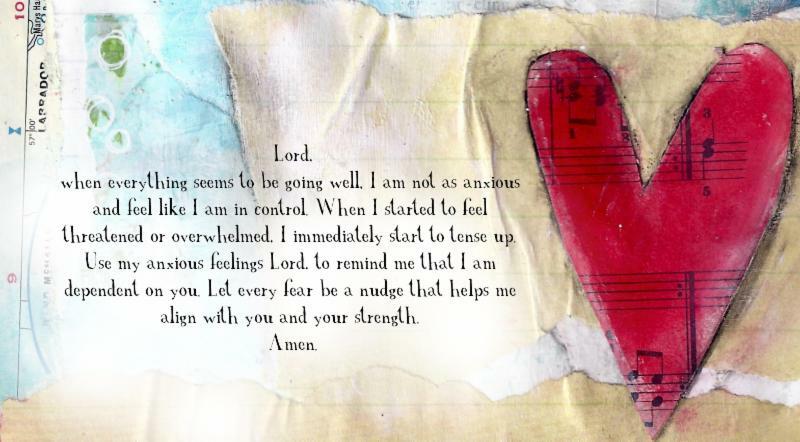 Let God’s peace guard your heart against anxiety. His peace is protection. 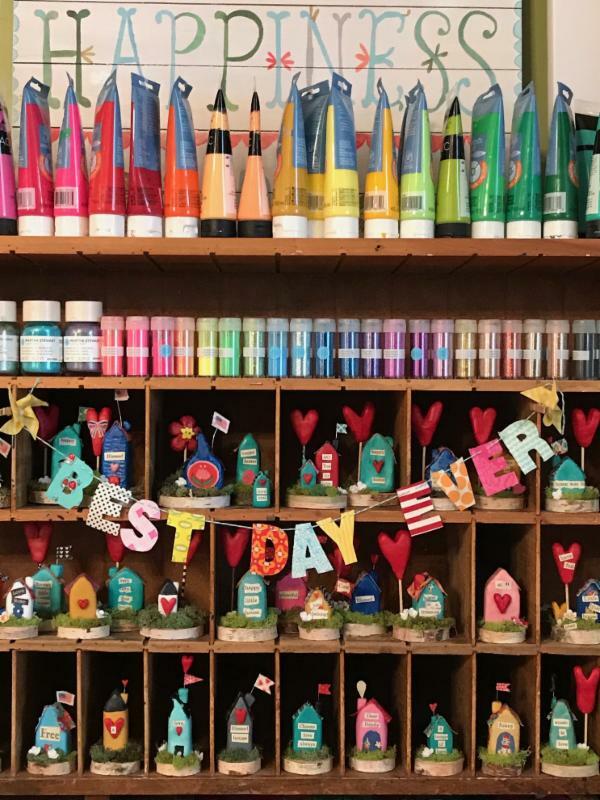 A new In-Store Workshop at By The Well in the Pacific Northwest just announced. 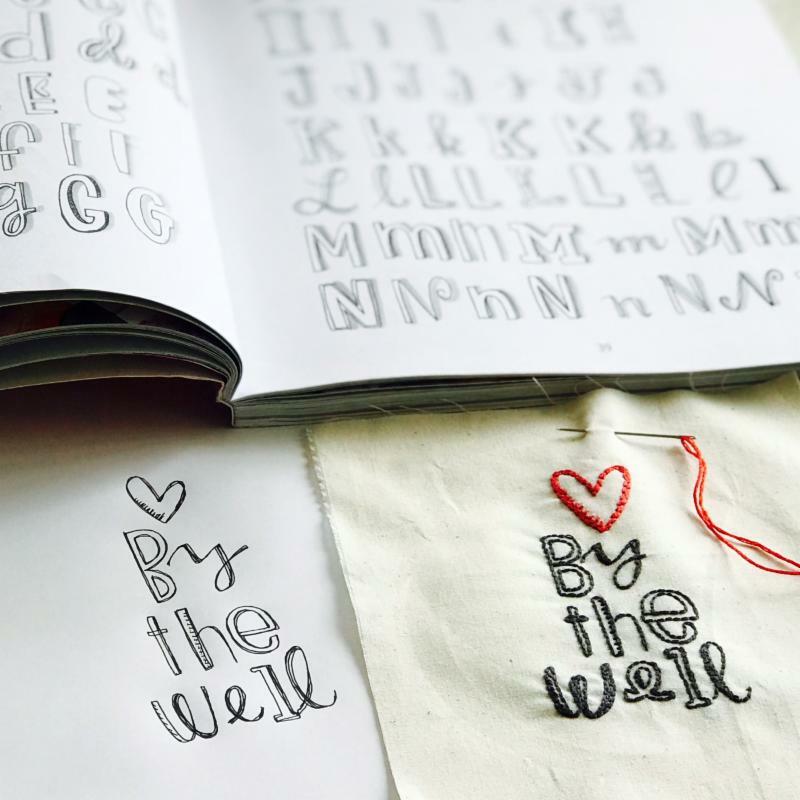 Join (me) Stephanie Ackerman at By The Well on Sunday, May 20th for a workshop starting with drawing & doodling and then stitching words, flowers and icons. 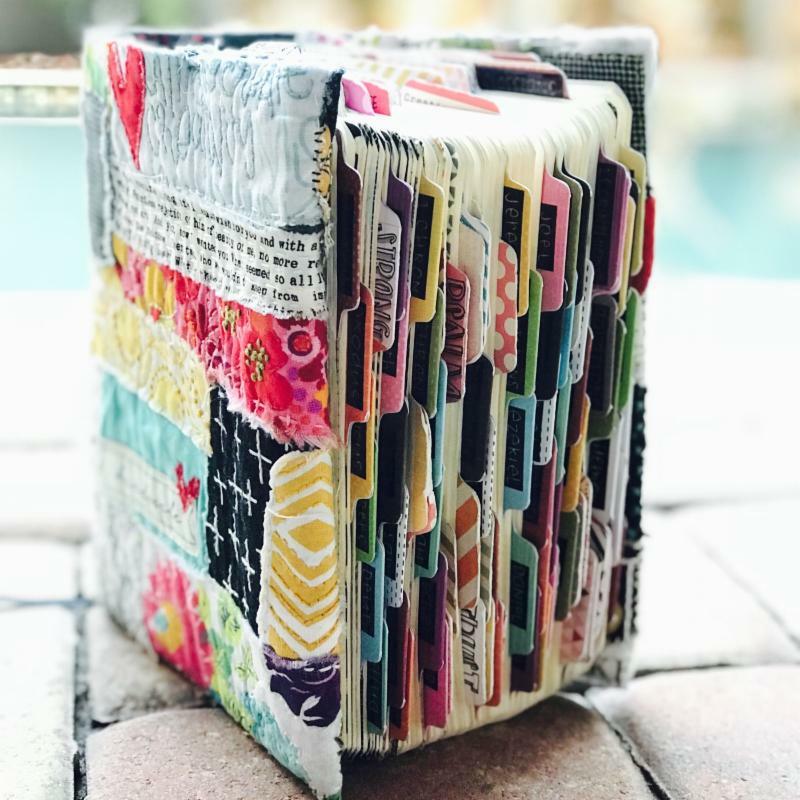 We will be referring to the book “Faith Journaling For The Inspired Artist,” so if you have a copy, please bring it along! And of course, copies are available at By The Well. All supplies will be provided, so grab your friends and join us! If you have favorite doodling and writing pens, markers, watercolors, embroidery floss bring them along to use. 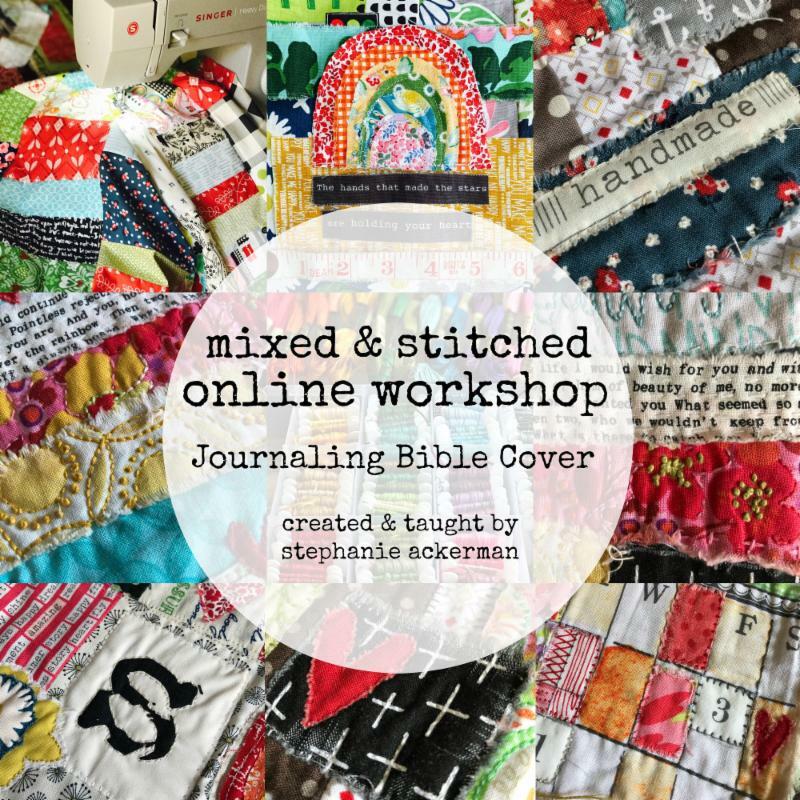 My New ONLINE Self-Paced workshop, "Mixed & Stitched: Journaling Bible Cover"
Registration and a discount now open. 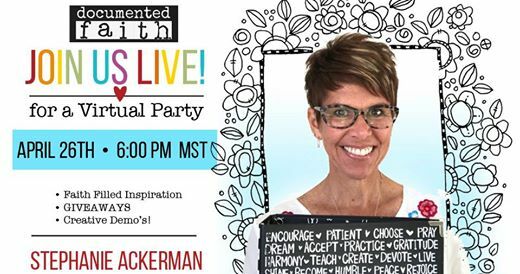 After months of teaching this workshop at retreats and taunting many of you online, it is time to announce TWO new things! 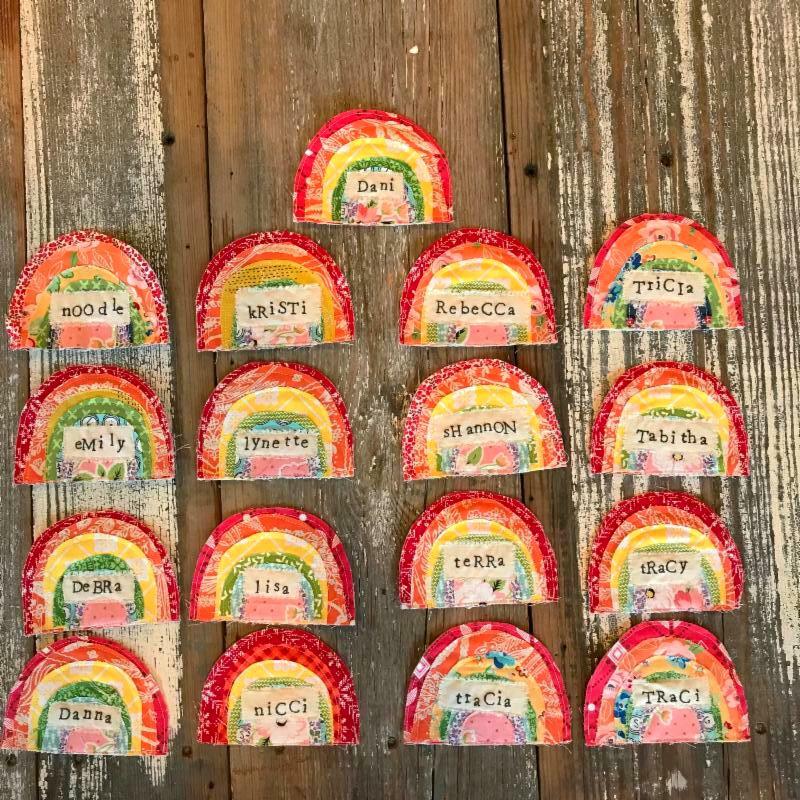 Click the links below to read about the individual retreats and be sure to check the blog for upcoming announcements. Honey, Pie & Stitches Retreat in Round Top , TX May 9-12 at The Vintage Roundtop. 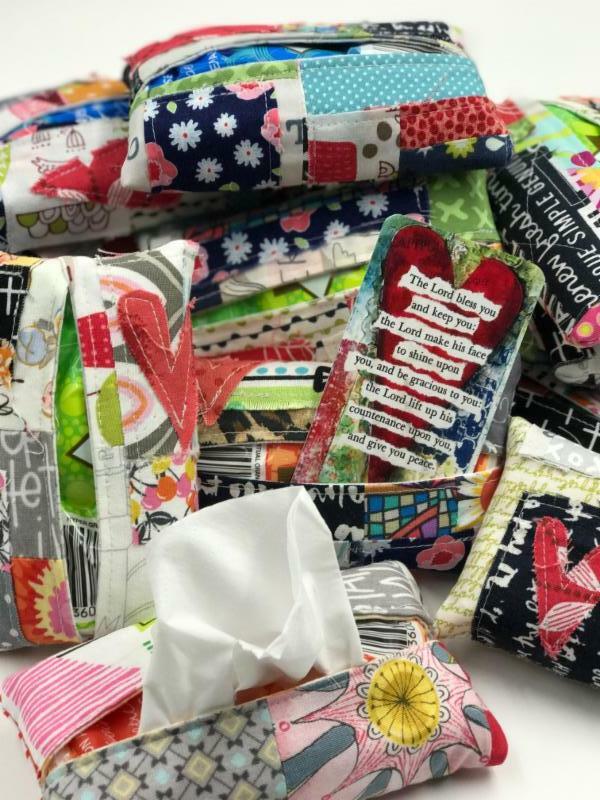 Join Honey Holden, Tara "The Pie Queen" and me for a creative time of worship,pie and stitching! 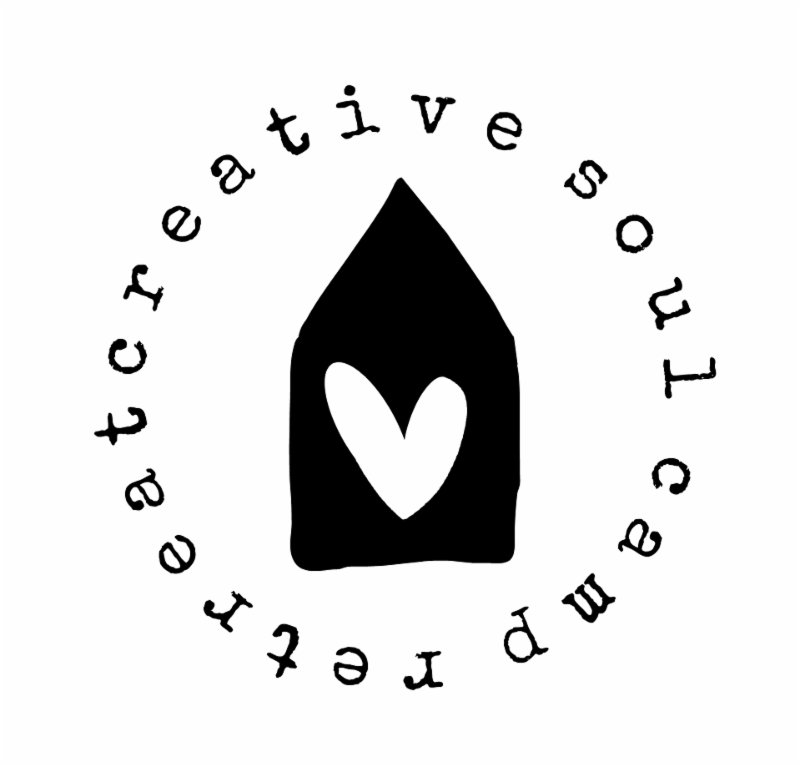 10 7 Spots at Creative Soul camp Retreat at the Whatever Craft House June 6-10, 2018 with artist Debbie Canfield.